New sophisticated Victorinox fragrances are defining essence of the modern man and woman. Victorinox is a Swiss brand, famous by its signature Swiss Army Knives. I have a collection of them. :) Most likely, you also have at least one. Furthermore, the brand has a wide range of products, like watches, suite cases, accessories and etc. Recently, I’ve discovered for myself Victorinox fragrances. They obviously represent an exceptional Swiss quality, but above all, their composition and design match dynamics of modern life. The brand has been producing fragrances since 2005, and each aroma has a unique bouquet of notes and sensations. The latest novelties include one fragrance for him and one for her. This is a new exquisite fragrance for men. Confident and energetic, it identifies character of a modern man. The bottle has a clear design, decorated with an iconic Cross & Shield emblem crafted of steel refined at the Victorinox knife factory in Ibach, Switzerland. 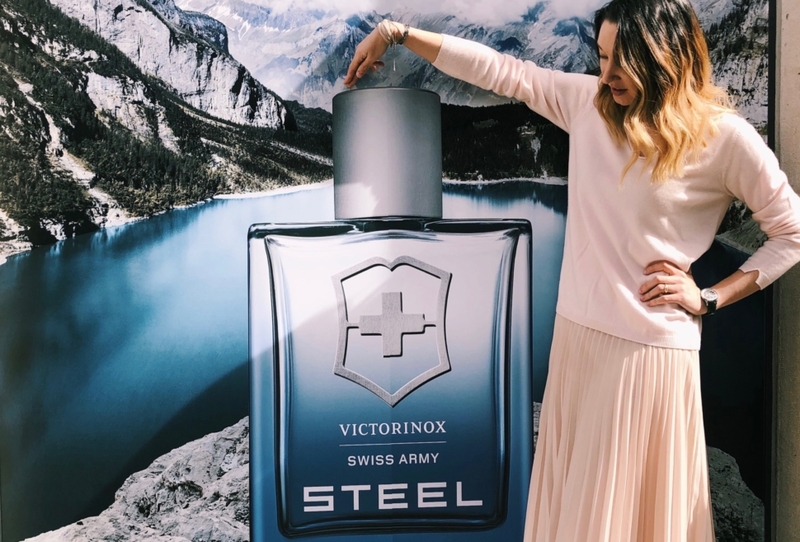 Swiss Army Steel has a rich bouquet, among all, the composition includes a deep aquatic scent mixed with lavender and viola leaves, cedarwood and hint of lichen. A new elegant fragrance for her, represents the lifestyle of a modern woman. The structure of this fresh scent holds floral and woody notes, wrapped in the stylish flacon. Olfactory includes a mix of cedar wood and a floral bouquet of peony, jasmine and violet . Moreover, the top notes include mandarin and grapefruit with hints of peach and blackcurrant. IF YOU ARE LOOKING FOR A FRAGRANCE WITH AN ELEGANT BOUQUET, EXCELLENT QUALITY AND CONTEMPORARY DESIGN, THEN YOU WOULD LIKE NEW VICTORINOX PERFUMES.